This entry was posted on December 16, 2016 by LemonCitrusTree. Once again this is the time of year when trees are inside for the winter months and depending on how many trees you have, this can prove to be a daunting task. I think I made all the mistakes one can possibly make through the years, making it an interesting adventure. From purchasing very flimsy catch trays, to having terracotta cumbersome heavy plant trays. I found out the hard way that it is better to purchase good quality trays that are large solid hard plastic and lightweight. To make the job easier I have recommendations for set up. 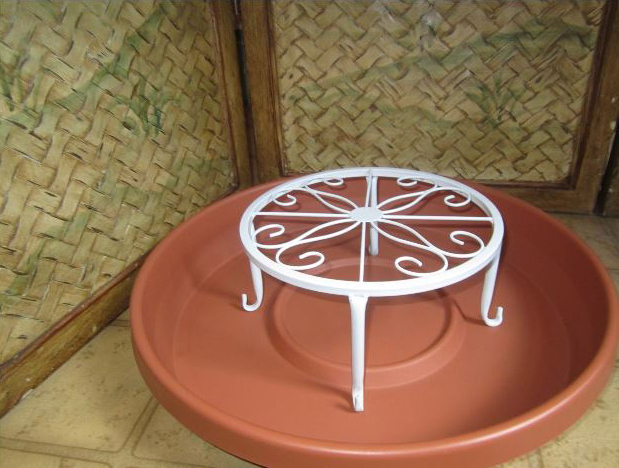 Purchasing 20" (outside diameter) catch trays and a small plant stand is the way to go, even if you have the tree still in a small pot. As your tree grows and transplanting into larger pots, eventually you’ll need the larger trays. To save money, I would recommend a tray that can hold a lot of water and the tray in the photo can hold over a gallon. After doing the deep watering method, the water pours from the holes in the bottom of the pot into the tray and any water in the tray will just add humidity in the air. When the trees are placed outside for the spring and summer, the trays can be cleaned and stacked one upon another to make storage easy, until you need them again in the fall/winter. 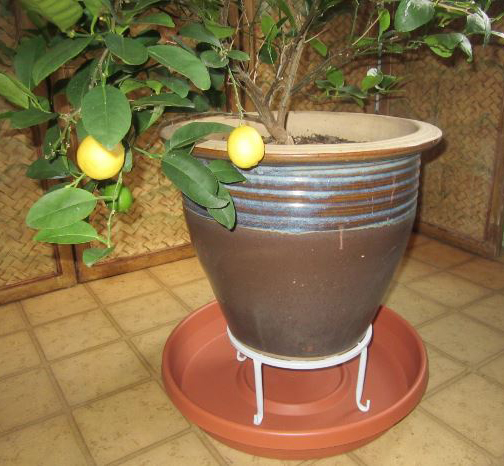 Having the plant stands situated inside of the trays will make watering so much easier, without the worry of the bottom of the pots sitting in standing water. Product Dimensions: 17.05 x 17.05 x 2.80. ○ prevents having to move trees around, just to water. ○ durable, lightweight and stack-able for easy storage. Remember you will probably water far less in the winter than you do in the summer. Normally I water a few times a month when following the fertilizer recipe. 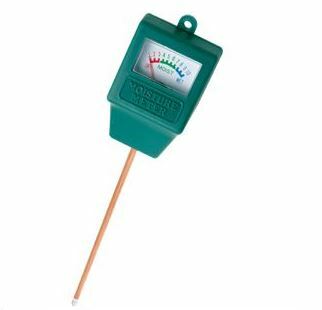 It is very important to rely on a moisture meter. I recommend one that reads from 1-10 (water when meter is on 4). I hope these suggestions make winter set-up a little less daunting.